Powered by BACtrack's largest Xtend Platinum Fuel Cell Sensor , the BACtrack S80 Professional Breathalyzer is the most accurate breathalyzer in the BACtrack family, delivering reliable BAC results, with police-grade accuracy. 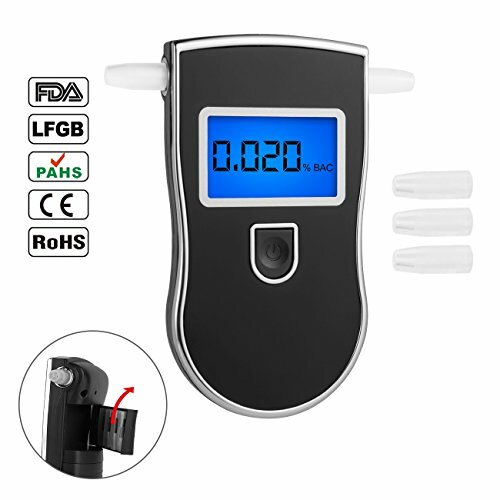 From being used as an alcohol detector for employees in businesses, to acting as an alcohol tester for patients in clinics or treatment centers, the S80 is perfect for a variety of professional alcohol sensing, detecting and testing applications. And because of its reliability and portable design, it's also great as a personal BAC breathalyzer. 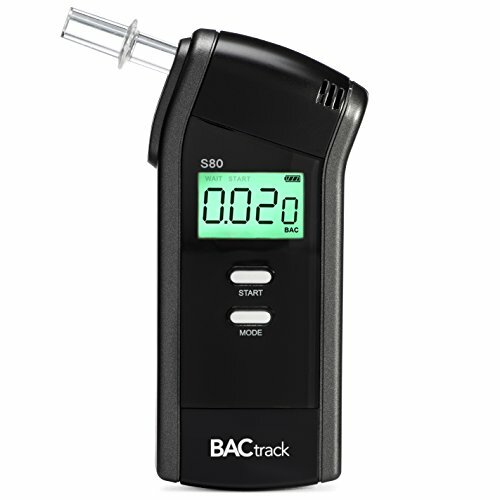 Help friends and family make better decisions while drinking with the accurate and affordable BACtrack S80 alcohol breathalyzer. Powered by BACtrack's state-of-the-art Xtend Platinum Fuel Cell Sensor technology, the BACtrack Trace Professional Breathalyzer delivers reliable and accurate BAC results, with police-grade accuracy. From being used as an alcohol detector for employees in businesses to acting as an alcohol tester for patients in clinics or treatment centers, the Trace is perfect for a variety of professional alcohol sensing, detecting and testing applications. And because of its small size and portable design, it's also works great as a personal BAC breathalyzer. 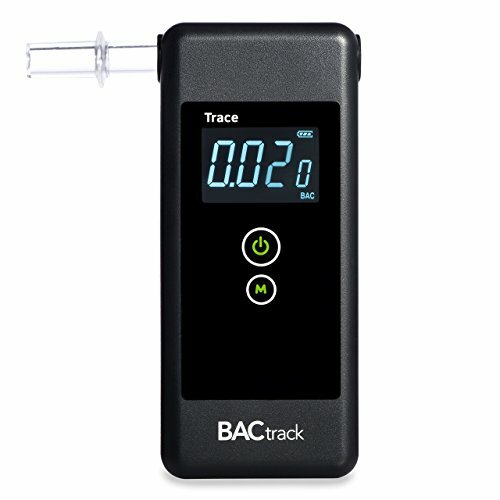 Help friends and family make better decisions while drinking with the accurate and affordable BACtrack Trace alcohol breathalyzer. Made of hygienic plastic and easily removable, washable and reusable, Backtrack Breathalyzer Mouthpieces make sharing your Backtrack Breathalyzer clean and easy. Gain peace of mind and keep your loved ones safe with Backtrack. 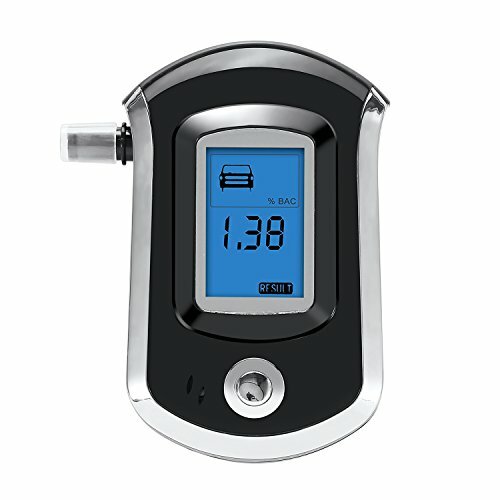 The AlcoMate Premium Breathalyzer features one of the most important innovations in the breathalyzer industry - patented PRISM (Pre-calibrated Replaceable Intelligent Sensor Module) Technology. PRISM Technology provides cutting-edge alcohol sensing using the most rigorous standards of construction, durability and accuracy. Typical breathalyzers must be periodically re-calibrated by the manufacturer in order to maintain accurate readings. This is usually done by physically mailing your breathalyzer to a service center, resulting in wasted downtime. On top of that, the re-calibration procedure itself is unable to restore Day 1 accuracy, because the wear and residue buildup inside the sensor is not addressed. Instead of going through a tedious re-calibration process, PRISM Technology allows you to directly replace your old sensor module with a new one; replacement is quick and easy, and you avoid the pitfalls of mail-back re-calibration. When you decide to invest your hard-earned dollars in a breathalyzer, you can make sure your device is as accurate as Day 1 each time you install a new sensor module, only with PRISM Technology. 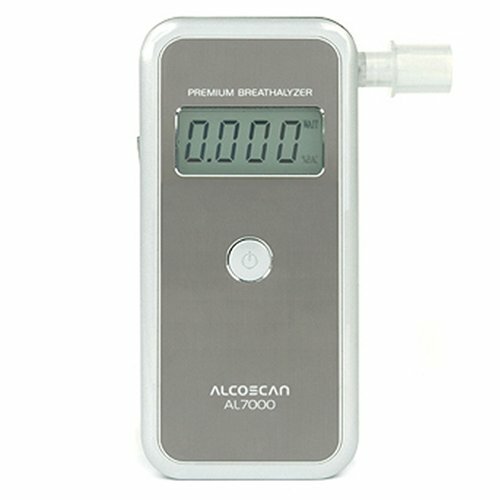 AlcoMate breath alcohol testers are DOT approved for law enforcement accuracy, US Coast Guard cleared, and are the single-source brand for the US Navy. 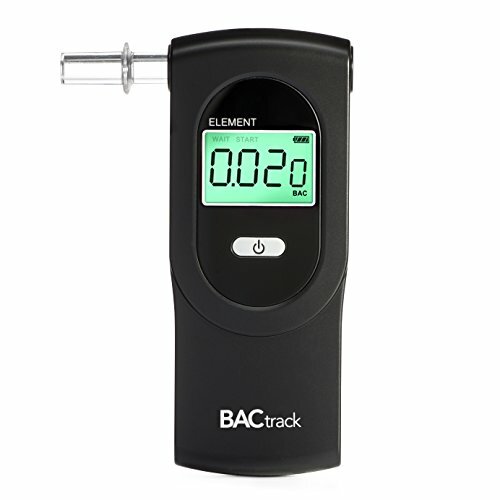 The new BACtrack Element quickly and easily tests for the presence of alcohol and provides a blood alcohol content (BAC) estimate. 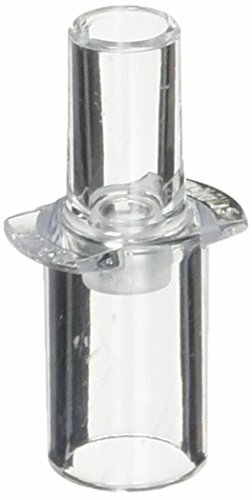 Simply press power, blow through one of the included mouthpieces, and get results in seconds. The Element uses professional Xtend fuel cell sensor technology, which provides consistent, accurate results at both low and high BAC levels. The spring-activated pump ensures that a proper breath sample is taken and that results are consistent test-to-test. Because the BACtrack Element uses AAA batteries, it is smaller and lighter than any other full-featured fuel cell breathalyzer available. This makes it easier to carry in a pocket or keep in a car and makes it easier to use on a regular basis. In addition to the Xtend fuel cell technology, the Element incorporates improved temperature compensation software to provide increased performance in both cold and hot environments. 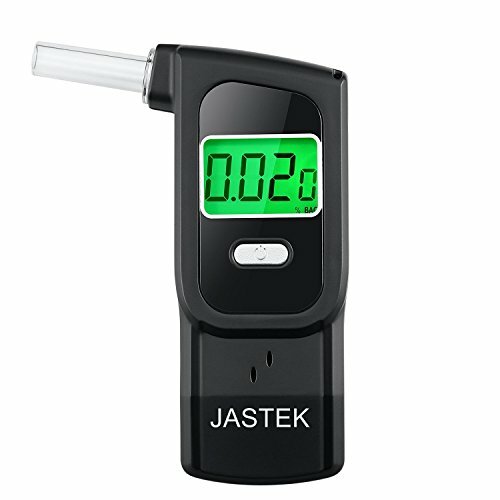 The bright four-digit LCD display shows blood alcohol content results from 0.000 to 0.400% BAC in an easy to read format. The Element is FDA 510(k) cleared for personal use, and is also used by clinics, businesses, hospitals and even law enforcement as an alcohol screening device. The BACtrack Element breathalyzer is simply a superior combination of accuracy, affordability, and design. Looking for more Professional Breathalyzer similar ideas? Try to explore these searches: Lighthouse Fireplace Screen, English Setter Tapestry, and End Scraper. Look at latest related video about Professional Breathalyzer. Shopwizion.com is the smartest way for online shopping: compare prices of leading online shops for best deals around the web. 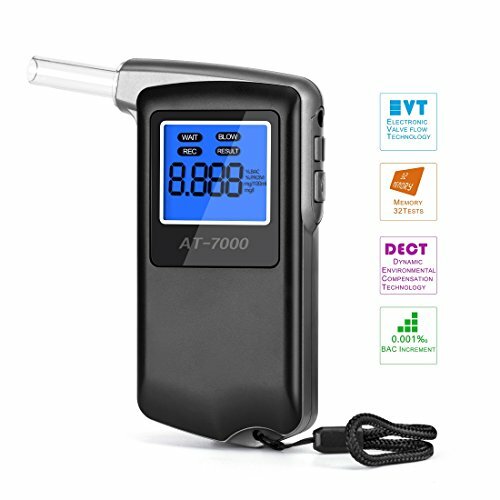 Don't miss TOP Professional Breathalyzer deals, updated daily.